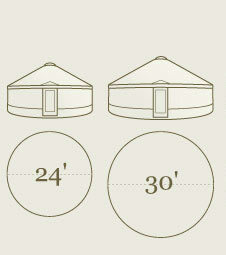 Adapted from Mongolian and Central Asian styled portable structures, yurts are round with a central dome roof. Their efficient design makes them incredibly easy to set up. Their gentle curves and natural grace give them an elegant aesthetic appeal. They can be rustic or modern, easily encompassing all the amenities of a comfortable lifestyle. They can be portable, temporary or permanent. They are affordable, soft on the environment, and to many, they are "magical". 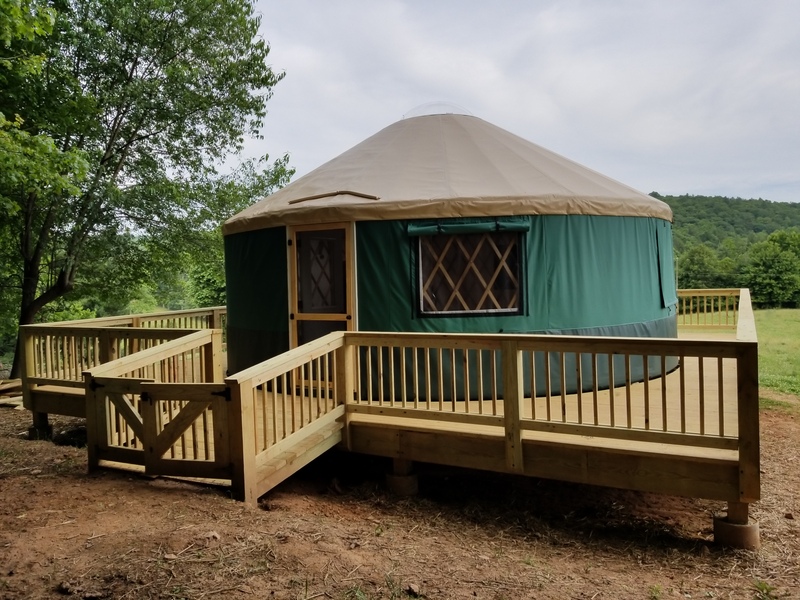 Blue Ridge Yurts are designed using the highest quality local hardwoods. Sizes range from 16' to 30' foot in diameter. The weatherproof fabric exterior can be ordered in a variety of 24 colors. The list of custom design features enables you to create a dwelling that is attractive and individualized. Adaptable to a wide range of purposes, yurts are experiencing newfound popularity as Airbnb rentals, mountain retreats, yoga studios, classrooms, guest houses and anywhere where simplicity, affordability and environmental awareness are priorities. 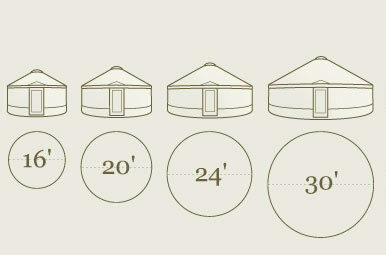 The yurts we make come in 4 different diameters, 16ft, 20ft, 24ft, and 30ft. We also have two different wall heights, 7ft and 10ft.